Professor Rose Scott wants to find out if some children are underestimated by standard developmental testing. Certain aspects of children's social cognition ripple throughout their lives, including whether small children can understand that other people’s minds are different than their own. That understanding plays a critical role in relationships, cooperation with other people and even in academic performance. For the past 20 years, developmental psychologists have operated under the belief that children from low-income backgrounds are severely delayed in developing this skill. 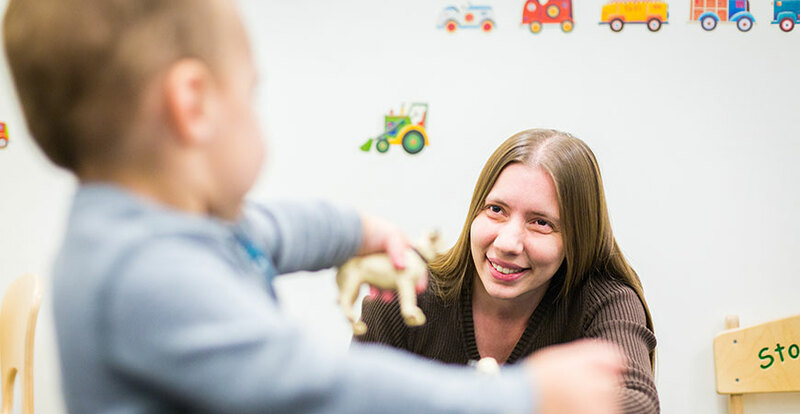 Developmental psychology Professor Rose Scott, though, believes that is a false conclusion, and that the problem lies in the standardized tests that are used to discover such issues. Thanks to a large new grant from the National Science Foundation, she’ll get a chance to work with hundreds of families from the San Joaquin Valley to find out if her theory is correct. She believes other problems are not being considered when children fail the standardized test of false-belief understanding, such as whether they understand the language in the test or even that they are being tested. She’ll collaborate with quantitative psychology Professor Sarah Depaoli, who will assist with the statistical analyses of the data Scott and her students collect. "...If they are having trouble with this skill, let’s find out what that trouble is and what could be contributing to it. We want to understand the pathways from children’s particular experiences to outcomes." The three-year, $523,000 grant will allow Scott to hire undergraduate and graduate students to work on the project and to recruit more than 200 families representing the Valley’s different demographics to participate. She has designed tests to look at other ways of determining children’s false-belief understanding and wants to find out if they will show differences among children from different socioeconomic backgrounds. The study will focus on 4- and 5-year-olds and Scott said it will require two visits with each family, one to observe parent-child interaction during free-play time, and the other testing the children. The researchers will also gather information about each family and get some understanding of the stress levels in the parents’ lives and their knowledge of child development. Scott said she hopes to start testing by the end of summer and plans to take most of the three years of the grant’s life to gather data. Scott will share the results with families and teachers so they can use it in their interactions with children. UC Merced is a prime location to conduct such research, Scott said, because the Valley is so diverse, not only ethnically but socioeconomically. She also wants to recruit some participants from bilingual homes so she is including as wide a cross-section of the Valley as she can.